This article originally appeared on the Million+ blog website. Words: Joe Bennett. 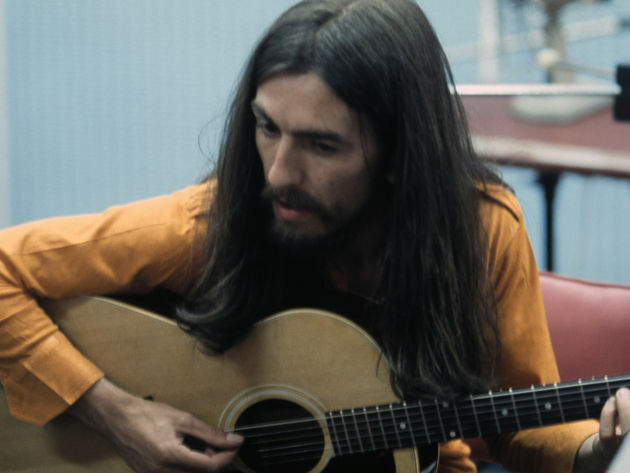 George Harrison’s My Sweet Lord was an early casualty of songwriter’s cryptomnesia. The legendary conductor (and acerbic musical quote-mine) Sir Thomas Beecham once said: “a musicologist is someone who can read music but can’t hear it”. And it’s fair to say that, in terms of profile, musicology is not one of the highest peaks in the UK research landscape. Qualitative research in the arts generally can have a difficult time justifying its existence in an increasingly corporeal and impact-centred (some might say philistine) political agenda, and music has particular difficulties in this regard, being perhaps the most abstract art form of all. Sir Thomas’s view shows clearly and painfully how easy it is to accuse musicology of continually Dancing About Architecture. So it may surprise some readers to learn that my own field of research – creative processes and forensic musicology in popular songwriting – was part of an impact case study for my institution in REF 2014. Forensic musicology is a multi-disciplinary activity, based on analytical musicology but incorporating physics, law, creativity studies, popular music studies and sometimes psychology and philosophy. It brings together several analytical techniques, including music score analysis, subjective listening, waveform comparison and spectral analysis (the last two are effectively graphs of the sounds we hear). Unusually for music research, it has a cash value, to the music industry, to the legal profession, and to the creative individuals who make and own music. This is because it has a commercial application, which is to help courts and copyright owners to make inferences about how a musical work was created, usually in order to figure out whether plagiarism has taken place. And it is not a new field; musicologists have contributed to legal cases as expert witnesses since the days of Tin Pan Alley. It is common in the mainstream media to discuss the ‘death of the music industry’, because CDs are no longer retailing in the significant numbers they once were. But the decline of commodified music retail is not the same as the death of music – we continue to hear it everywhere we go. Whenever we shop, surf the web, listen to the radio, watch a TV show (particularly an advert), or attend a festival, a songwriter or composer somewhere is getting paid, through a complex and often circuitous financial route involving: royalties, licences, buyouts, percentages, splits, admin fees and middle men. The path this money takes is partly determined by who owns the economic rights in a sound recording and/or in a musical composition. So when the ownership of a musical work is disputed, all parties have a vested interest in working out who owns what, and when they can’t achieve a resolution, they often call upon the necessary pedantry of a forensic musicologist. Like every field of research, forensic musicology becomes more complicated the more knowledge is amassed. In our case, this complexity takes three forms – developments in the creative processes used to compose and record music (partly driven by new technologies), increasingly flexible definitions of ‘song’ in our society, and ever-expanding plagiarism case law in the courts. Many people know that George Harrison found himself in the dock in the 1970s to defend (unsuccessfully) his ownership of the melody of ‘My Sweet Lord’ against the accusation that it was, in fact, an inadvertent copy of the Chiffons’ 1962 hit ‘He’s So Fine’. But there have been many cases since then, each setting a new musical precedent and each verdict nuancing what I call the ‘threshold of creativity’ in songwriting and popular music production. The sax solo of Spandau Ballet’s 1983 hit True was not considered by the court (in 1999) to be part of the composition, but only three years later the violin riff from The Bluebells’ Young At Heart gave fiddler Bobby Valentino a composition credit and a royalty. The authorship of the ‘James Bond Theme’ (between credited composer Monty Norman and band arranger John Barry) was disputed via court action against the Sunday Times in 2001, resulting in £30,000 being awarded to Norman in libel damages. In every case a musicologist was on hand to advise. Most cases never make it to court. It’s in everyone’s interest to resolve disputes amicably. And sometimes musicologists help to prevent a dispute in the first place. You know when you hear an advert with music that has the feel of a famous song but isn’t exactly the same as the original, such as the 2014 Diet Coke ad that makes a musical nod to Pharrell Williams’s ‘Happy’? Often you’re hearing a musicologist’s advice, translated into careful note choices by the composers, and approved by the ad agencies’ legal teams.